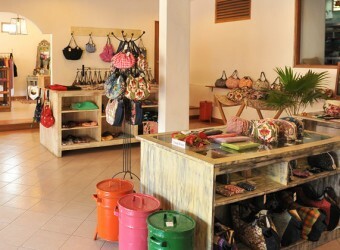 Bali Souvenior Shop A original bag & goods shop, Sisi havs 3 stored in Bali. As the meaning of the name Sisi is "by the side" in Indonesian, they have various unique original items that you want to keep with you all the time. Their variety of the bages such as the one with a high capacity and eco-bags are popular among females.